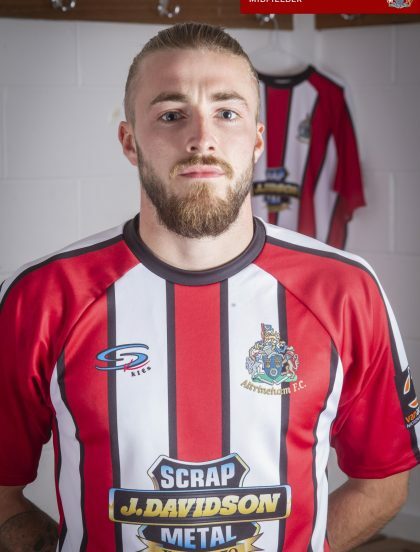 Exciting midfielder Max Harrop originally signed for Alty the day before the 2017/18 season and made his debut as a substitute the next day. Within a few months, he had become something of a fan favourite after impressing with his skilful play and a series of long range goals. Max began his career in the Liverpool academy before joining Bury, where he played eight games in the football career. He later spent periods on loan with Blyth Spartans, Hinckley and Tamworth. Following his release from Bury, he played for Nantwich Town before spells with Ashton United and Ramsbottom.